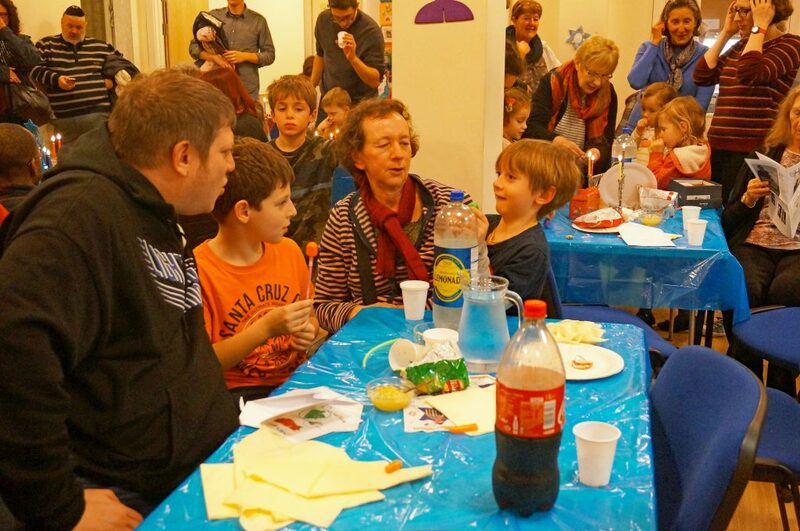 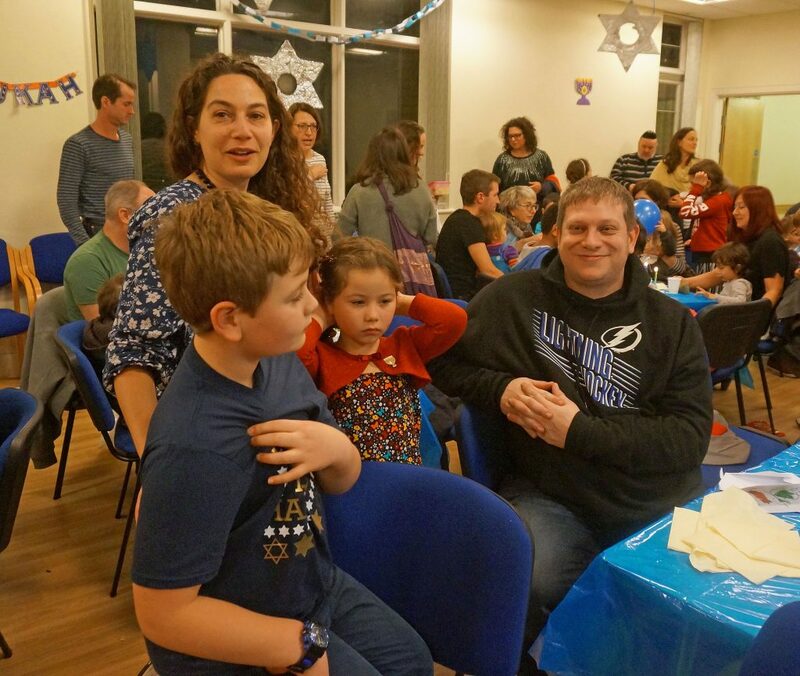 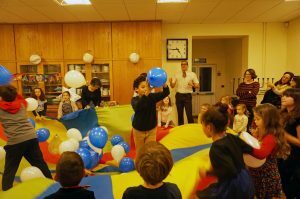 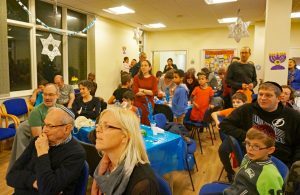 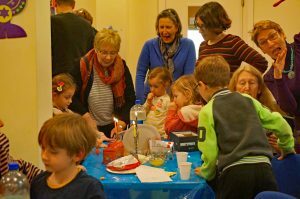 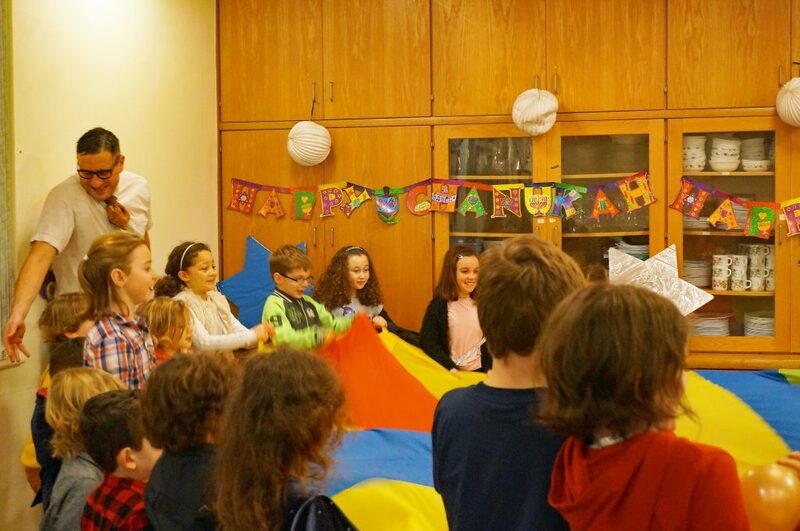 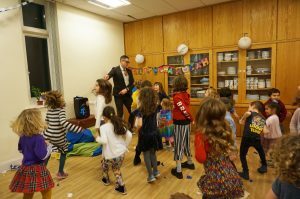 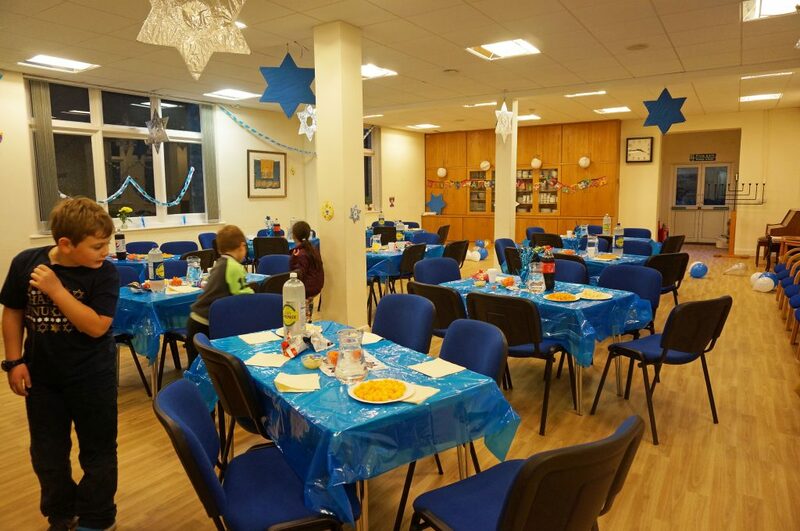 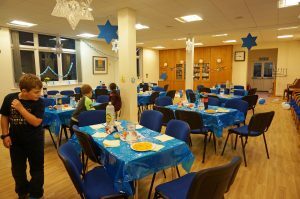 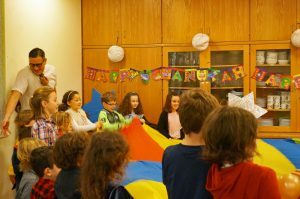 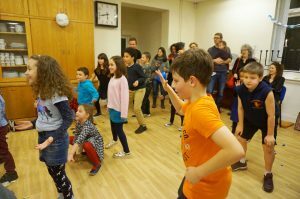 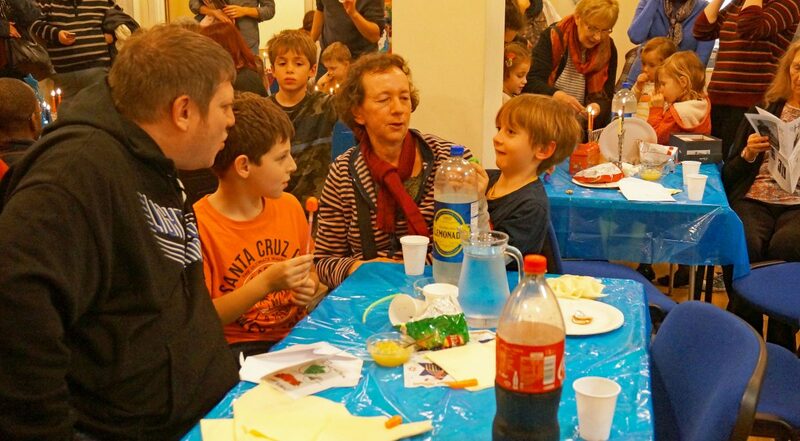 The annual Chanukah Party, organised this year by the Cheder parents – Hooray Cheder – was held on the first night of Chanukah, Sunday, 2 December, and was well attended by the children of the Gan and Cheder, their parents and a sprinkling of grandparents, as well as some of their friends. 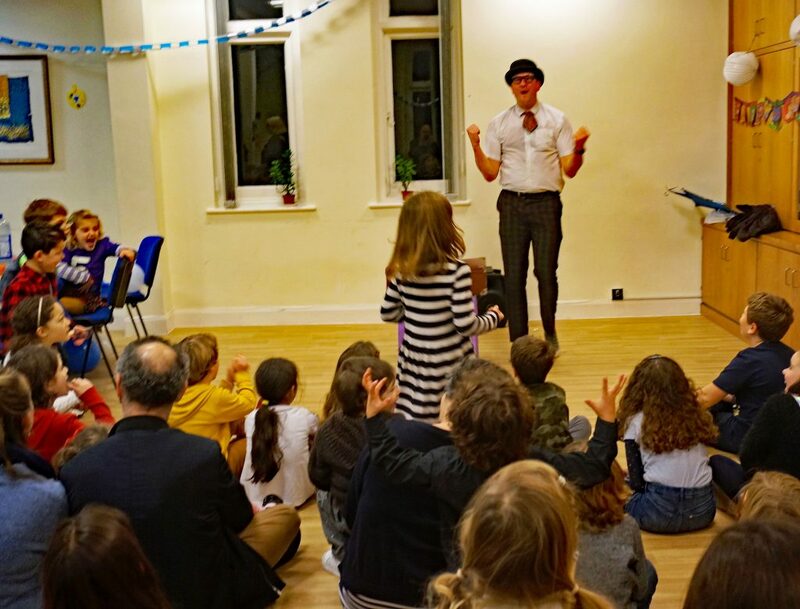 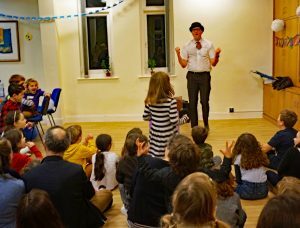 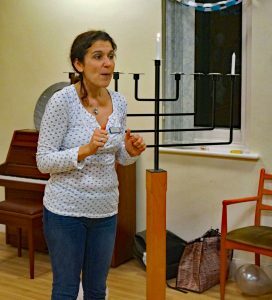 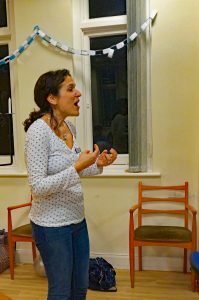 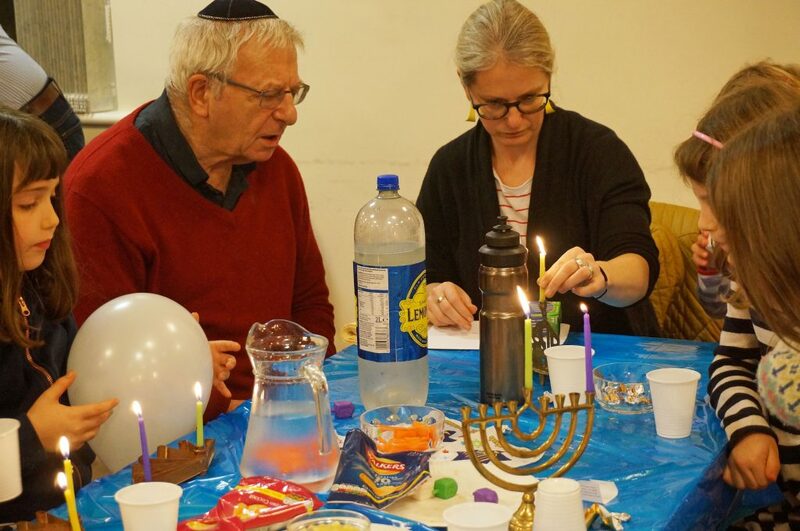 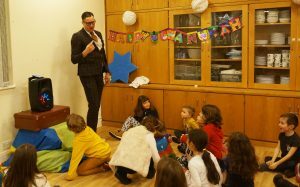 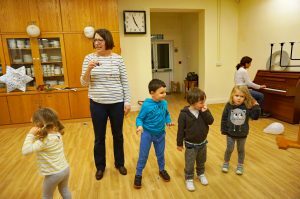 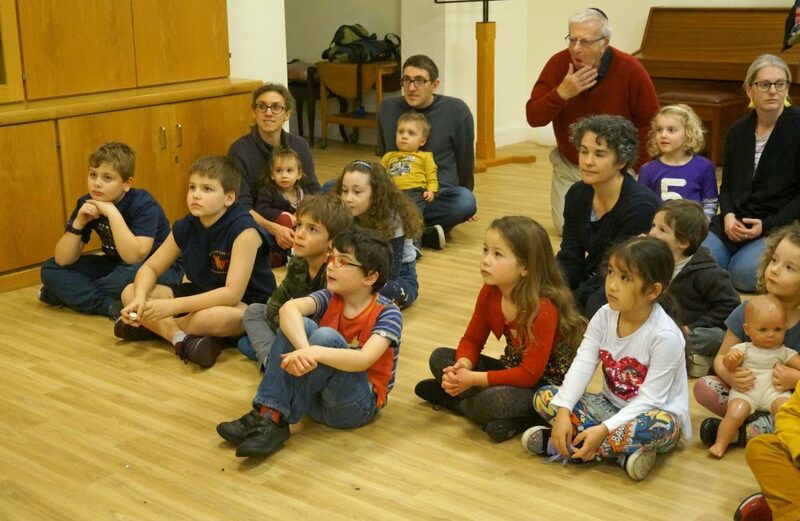 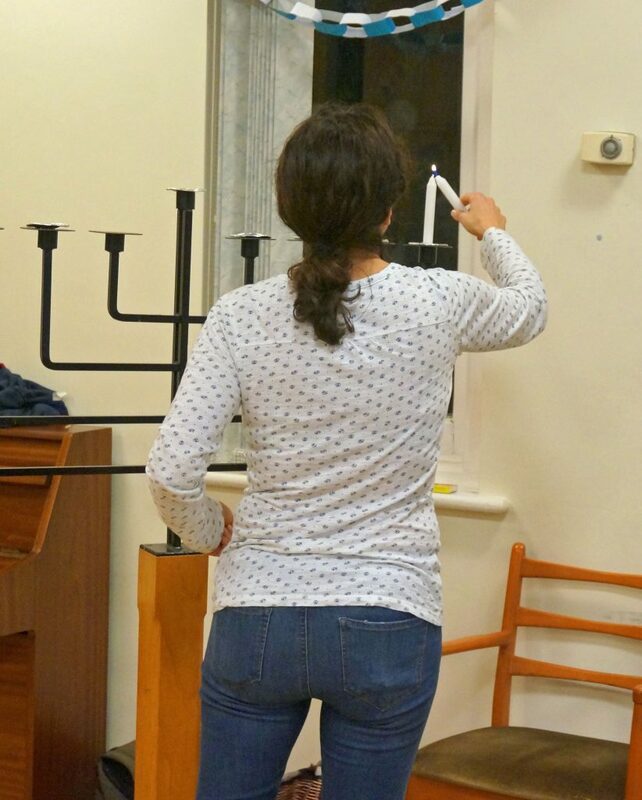 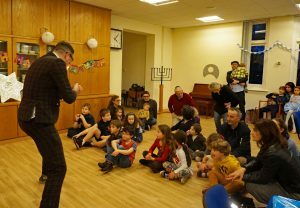 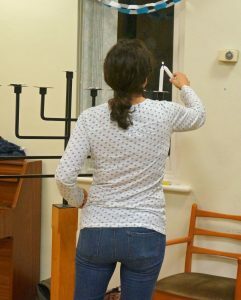 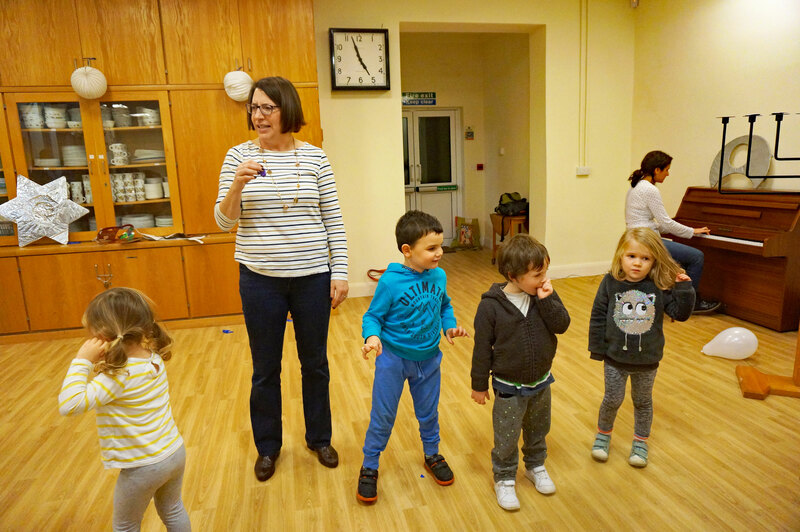 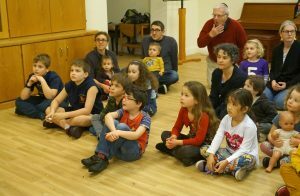 The party began at 4 o’clock with Gilbert Giggles entertaining the children, after which, at 5 o’clock, head teacher Vicki lit the single Chanukah candle and recited the blessings both in Hebrew and in sign language for the benefit of our deaf guests. Many families had brought their own chanukiyot and candles, which they then lit at their tables, following by the joyful singing of the Maoz Tzur. 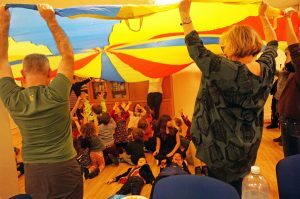 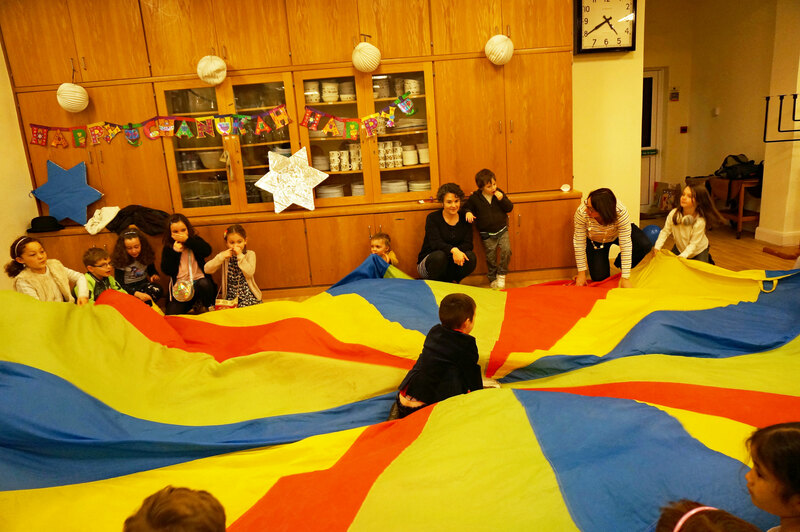 The serving of hot food, including latkes and veggie burgers, and cold drinks followed before Gilbert resumed his entertainment with a magic show, wild dancing with prizes, and shaking and hiding under the parachute. Many thanks especially to Vicki, Gilbert Giggles and Amanda and Sonia of Hooray Cheder for their hard work in arranging and running the party, and to everyone who came along for their support.